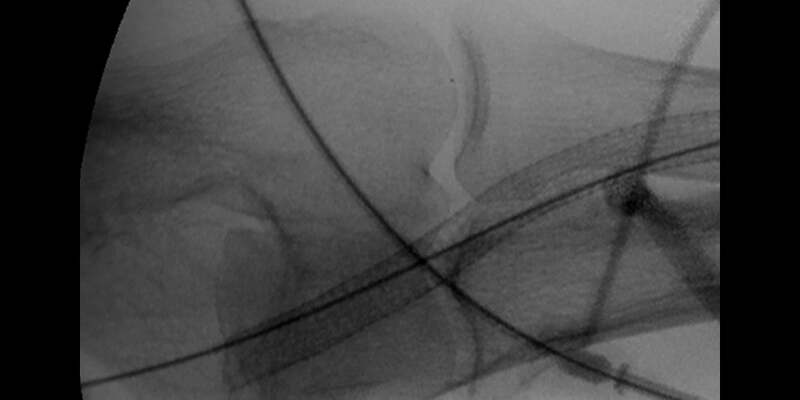 How the GORE® VIABAHN® Endoprosthesis changed the natural history of a rapidly failing arteriovenous (AV) access circuit. 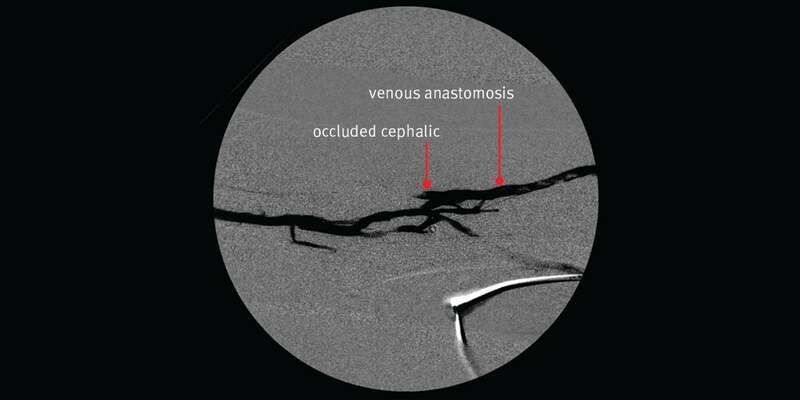 Images courtesy of Minneapolis Vascular Physicians. Used with permission. 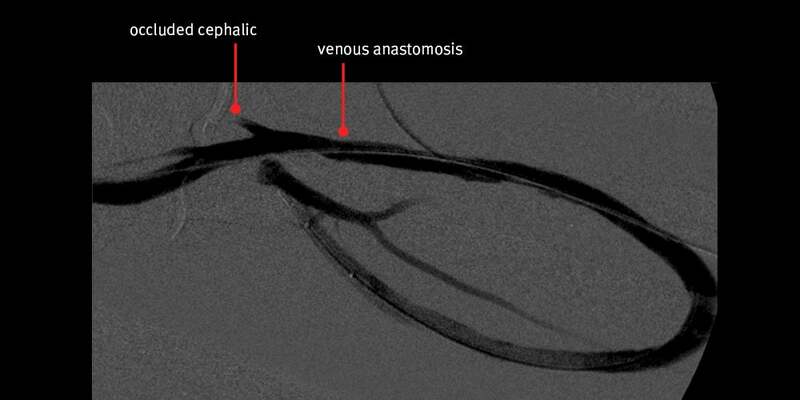 Nice angiographic result. Flow was restored.